Two panels, each 8 by 8 inches. 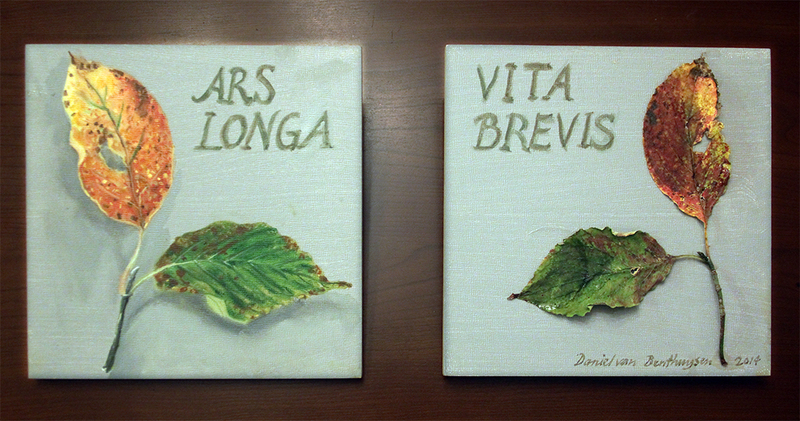 Left, the oil rendering. Right, the once-living model, fading and drying out. Already you can see the colors changing. That won't happen in the panel on the left because, well, as the ancient Roman said, "Ars longa." 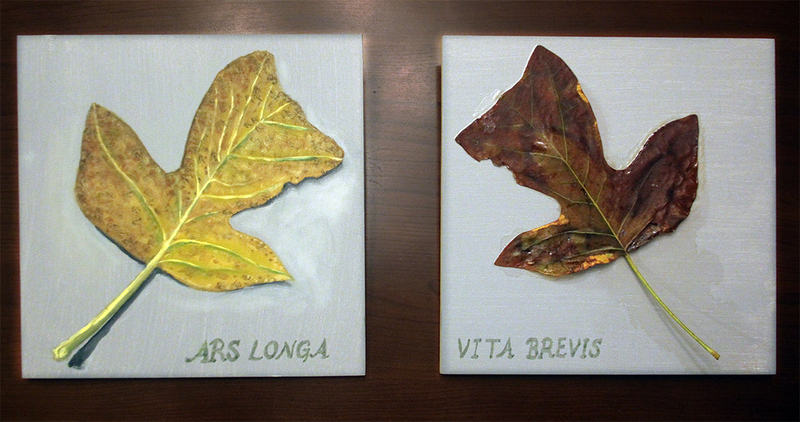 Below two versions of a leaf from a tulip tree. Same idea. Larger panels. 12 by 12 each.